Hot deals at Tigerdirect (HP, Acer)! Office Max has a new round of weekly laptop deals and some of them are just sweet enough to get you thinking! Remember, Office Max does not do rebates, so what you pay at the cash register is what you pay, you don't have to worry about cutting bar codes, mailing stuff, and waiting for the rebate companies to wake up and send your well-deserved check back! For more power and same Gateway goodness, you can get the Gateway M7818u for $580. This has similar specs as above, but 4gb ofmeomry, 250gb disk and the T5800 dual core processor (Centrino). Also, 64-bit Vista and a few other smaller differences. And this is more loud, loud as in color red/copper. It is no secret that widescreens have been stretching the last few months to meet the 16:9 proportions of HDTV. With that in mind, there is a Sony Vaio VGN-FW230J/H (Office Max product code 2171-1550) offered for just $700. This has a 16.4" widescreen display, a compromise between the traditional 15.4" and 17.1" perhaps for some laptop buyers. Other features include the T5800 processor, 3gb memory, 250gb disk, wireless, webcam, hdmi out, and 64-bit Vista Premium. Also stretched a little bit, is the 15.6" HP G60-1180M-B, going for $770. It won't stretch your budget because this is a bundle, not just the laptop. You also get the OfficeJet J4680 4-in-1 printer, and also a Bluetooth Laser mobile mouse. If you need all these, then it's a nice deal. If you don't, then you are probably buying them piecemeal. The laptop itself has the AMD X2 RM-70 dual core processor, 3gb of DDR2, 250gb disk, wireless, bluetooth, dvd burner, card reader, and things like that. We also have to mention that this has the nVidia GeForce 8200M video card, not an integrated chipset! Note that this, and some of the others above are while supplies last, and availability will depend on location if you are buying brick and mortar. You can find the latest stores or check online availability by navigating through the link/banner in this blog post! The good people of PC Connection have assembled a list of their top-related products and then put them on sale. That's right on sale! The list includes the Lenovo 3000 N200 laptop for $600, a 13" MacBook of course, a $369 Acer Aspire netbook, displays, a Sony Bravia HDTV, storage options and a lot more! Be sure to check it out for some nice deals! 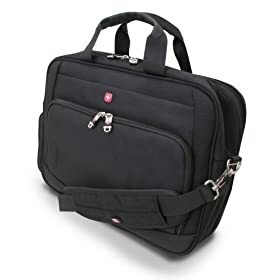 Amazon is having a limited time Gold Box Deal special on the black SwissGear Computer Briefcase for $27 and with free shipping. The deal is good until 9pm eastern time tonight. After that, the bag will return to its regular price. To see the special price, be sure to check your Amazon gold box. But that's not all, you also get 12-months of WIRED (yes, the techie magazine), and also five bucks worth of DRM-free music downloads from the Amazon MP3 Music Store. Dell has a new stackable coupon to save 5% on select software . This is a limited time offer , and will expire when the alloted number of coupon-discounts are traded in. In other words, don't sleep on it! Hot on the wheels of a hot Cyber Monday, buy.com is offering new temptations, such as the HP Presario CQ50-110US for $580. 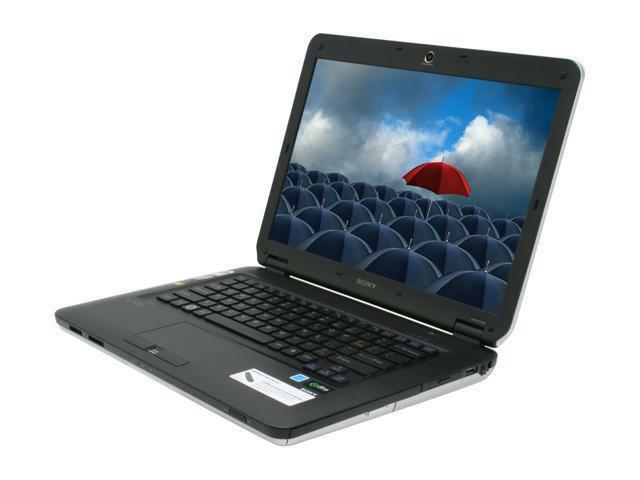 This is a modern-era laptop, with the AMD TurionRM-70 2GHz processor, a typical 15.4" WXGA display, a practical 3GB of DDR2 SDRAM memory, a reasonable 200GB hard disk, dvd burner, ethernet, Wi-Fi, and of course Vista Premium. The weight is six and a half pounds, which is more or less typical. Check the product page for more details, and there you'll also find that it has a memory-card reader, an nVidia 8200M graphics system, lightscribe, Kensington slot, and things like that. Netbooks continue to pick up momentum! Just check your local WiFi HotSpot! You can get the Acer Aspire AOA150-1570 for $350. This is the trendy-looking sapphire-blue color. Tigerdirect is offering the refurbished Gateway ML6732 notebook for exactly $500. Tenba Skooba Checkthrough, an airport checkpoint-friendly Laptop Bag that holds all 15" to 15.4" laptops but also some (but not all) the ones that have 16" & 17" displays. The price for this flexibility is right for frequent travelers, you can get it for $75 at Adorama.com. Why waste away your laptop's lifetime when you are anchored at home or at the office? Instead, how about getting the Lenovo H210 desktop, bundled with the Lenovo L195W 19" LCD for the one price of $550. The H210 desktop is fueled by the Intel Pentium dual-core E2220 (2.2GHz) processor, and it has a healthy 4GB DDR2 memory and a very decent 640GB SATA II hard drive. You also get a dvd burner, and of course the obligatory Vista Premium. The L195W Lenovo LCD display is a 19-inch widescreen, with 5ms response time, and 1440x900 resolution, and also it has 2000:1 CR. Don't sleep on these Cyber Monday offers though! They disappear quick! Already gone is one of the two Sony Vaio laptop deals.